Photographer: Lee Switzer. 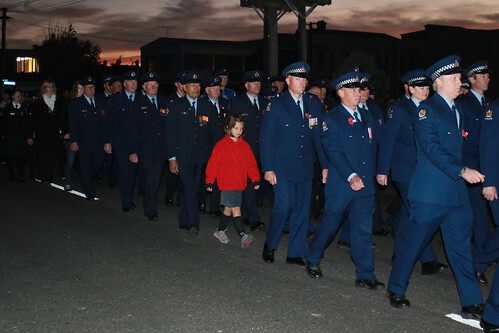 The 2012 ANZAC Day dawn service at the Mount Maunganui Cenotaph on Marine Parade which marked the 97th ANZAC Day commemoration. The first photograph in this series was taken from the top of nearby Mauao. The ceremonial gathering is seen in between the trees near the centre of the photograph.